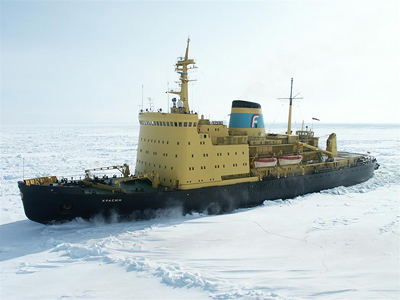 A month-long rescue operation in Russia's Far East has officially ended as two ice-breakers, the "Krasin" and "Admiral Makarov", successfully towed to safety the last of five ships - the "Sodruzhestvo" - which had been stuck fast in solid ice. 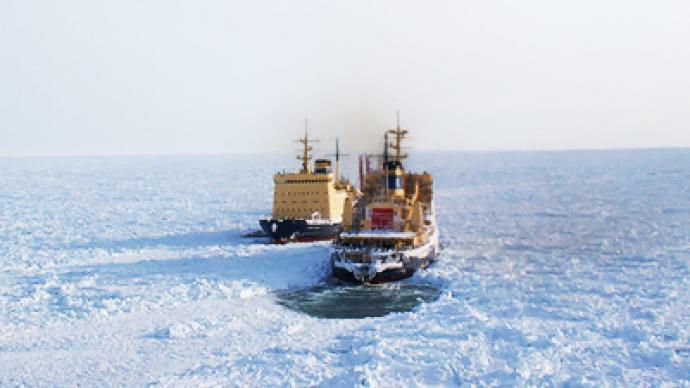 ­The "Sodruzhestvo", the "Bereg Nadezhdy" and the "Professor Kizevetter", with over 400 crew in total, and two other ships, the Cape Elizabeth and Anton Gurin, became stuck in thick ice in the Sea of Okhotsk at the end of December. A rescue operation began immediately, but the thickness of the ice, as well as severe weather, hampered progress. The incredibly thick ice reached eight meters in some areas. 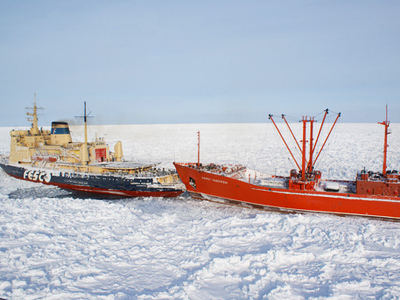 Ice-breakers were sent to rescue the stranded vessels. 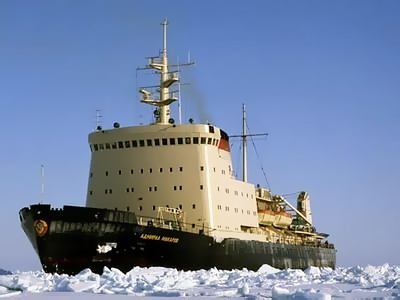 The "Magadan" icebreaker was the first to arrive, but it was not powerful enough to get through the two-meter-thick ice shield and became trapped in the ice itself. The "Admiral Makarov", which is three times more powerful, was dispatched to help it. The equally-mighty "Krasin" was the third to join in. 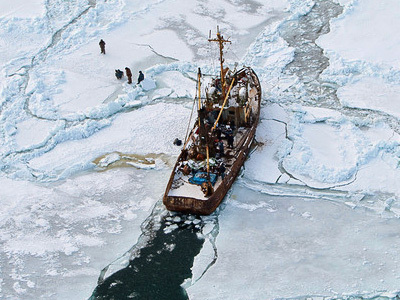 The "Admiral Makarov" released The "Professor Kizevetter" and the Cape Elizabeth vessels from the ice trap, while the Anton Gurin managed to break free on its own. 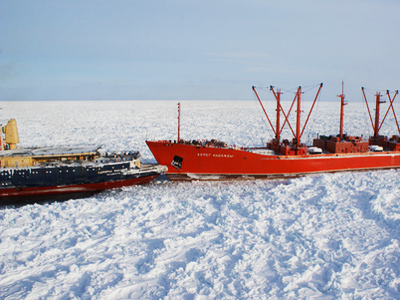 The "Sodruzhestvo" was the hardest to tow due to its size – it was wider than any icebreaker. So the combined efforts of the "Krasin" and the "Admiral Makarov" were required.